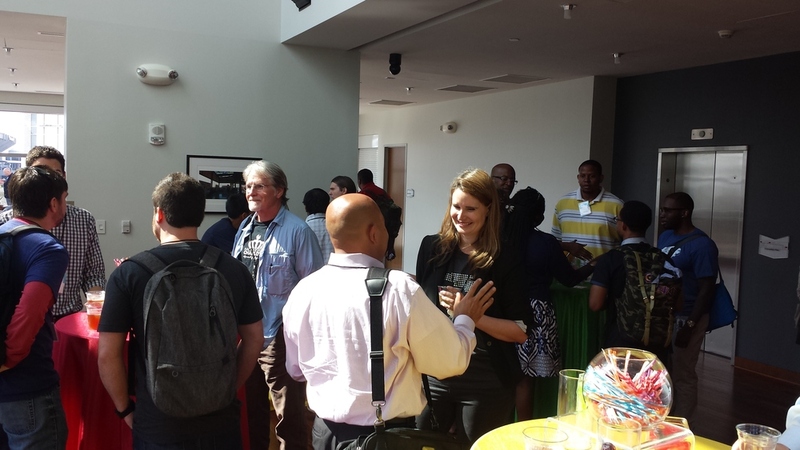 Charlotte’s developers and entrepreneurs got together this past week for Google I/O, an annual event showcasing Google’s new products. The event is hosted in San Francisco and this year a special “Extended” version was live streamed to Charlotte at the Harvey B. Gantt Center. At the end of the code camps we tuned into the San Francisco presentations via streaming high-def video, where Google announced many new products and services. Some of the highlights: a new mobile operating system - Android M, a new Google Photos app providing an unlimited number of photos or videos for free, new apps to its smartwatch OS, a revamped Google Wallet app, and improved tracking tools. For a good summary of all the Google announcements see this post. We had the opportunity to catch up with Tom Cooper, one of the participants at this year’s event. 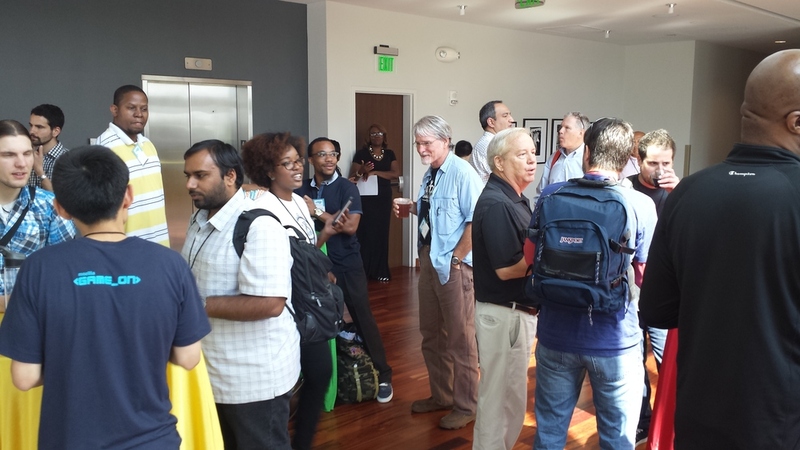 “Google I/O offered an amazing opportunity to connect with the Charlotte tech community. It's really good to have a time and place where we can find each other” said Tom. Several of the Google executives making keynote presentations were women, highlighting that a gender-inclusive tech event is possible. Quartz wrote an excellent post on that subject here. Our hosts for Google I/O Extended in Charlotte were Mary Ellen Player and Jess George, leaders of the local Google Fiber team. After the main presentations from San Francisco, Charlotte held a panel discussion on Entrepreneurship in the city. James Stewart of DetailedBlock.com facilitated the discussion, and the panelists included: Valerie Truesdale - Charlotte-Mecklenburg Schools, Paul Wetenhall - Ventureprise, Adam Hill - Packard Place, James Huston - Red Ventures, and Jordan Carey - Hackerspace Charlotte. "Being part of the Google I/O panel was an exciting experience" said James. "The range of topics and viewpoints covered the many different approaches making this city one of the best ecosystems for entrepreneurs. I am honored I was able to guide the discussion." Two highlights from the panel were CMS’ inclusion of entrepreneurship in the core strategy for developing middle school and high school students, and UNC-Charlotte’s grant to expand their I-Corps program helping entrepreneurs test product demand. Paul remarked that there is a shift in Charlotte from growing developer talent for the banks, to growing developer talent for high growth startups. The Charlotte Observer wrote this story about the panel, emphasizing that while Charlotte is making progress, more work needs to be done to develop web talent in the city. A good number of the participants stayed to network at the after-party, where wine, beer, and food encouraged further conversation (see pictures below). 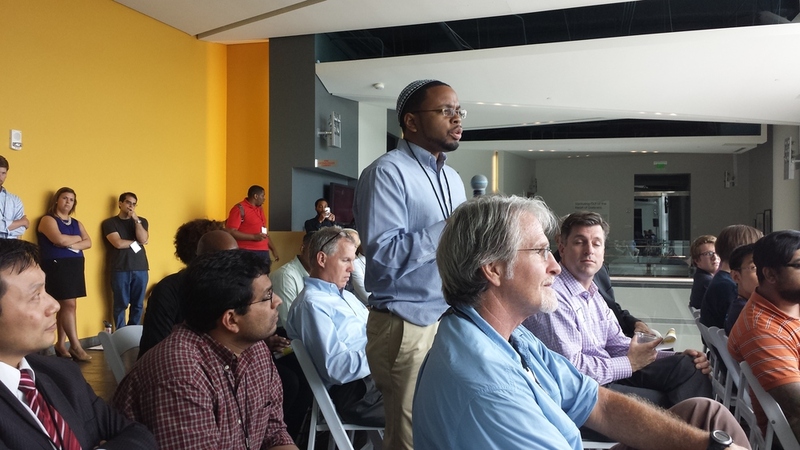 Thank you to Google for bring I/O Extended to Charlotte! We’re already looking forward to next year’s event.